Mr and Mrs Johnstone are no strangers to Scandia-Hus having used the company to build their stunning New England style home on the West Sussex coast back in 2010. So when the opportunity to build a restaurant along the road from their house presented itself a couple of years later, they approached Scandia to help them once more. The Johnstones knew the style of building they wanted and believed that this was well within Scandia’s remit of constructing energy efficient timber frame buildings. Billy’s on the Beach was built on council owned land and knowing the area well Mr Johnstone had a good idea from the outset what would be permitted. The project did not encounter any problems with planning and the Johnstones were pleased that Scandia dealt with this aspect on their behalf. In terms of the actual build itself the only difficulty was grafting the new building onto an existing building. Mr Johnstone project managed the build himself and kept the project on schedule and on budget. Having had experience of the self build process before, Mr Johnstone called upon contacts he knew already and indeed used the same builders for the ground works as he did with his own house. 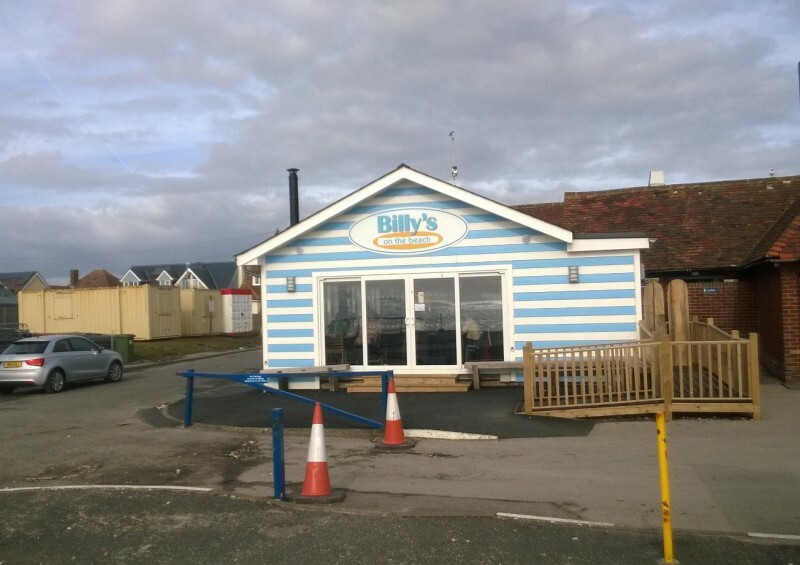 Within twelve weeks of starting the build Billy’s on the Beach was complete and opened for business on 12th September 2013. The building is primarily heated by a wood burning stove situated in a front corner of the restaurant. Customers and staff are also kept warm by the heat omitted from the kitchen and from the sun coming through the windows. The low running costs are a real bonus for the business. When asked what advice he would give people looking to self build, Mr Johnstone advised that whether you’re looking to construct a commercial or residential property it is important to consider the environment in which you are building. As the restaurant is on the coast, Mr Johnstone had to ensure that the choice of external materials would minimise maintenance costs in the future. 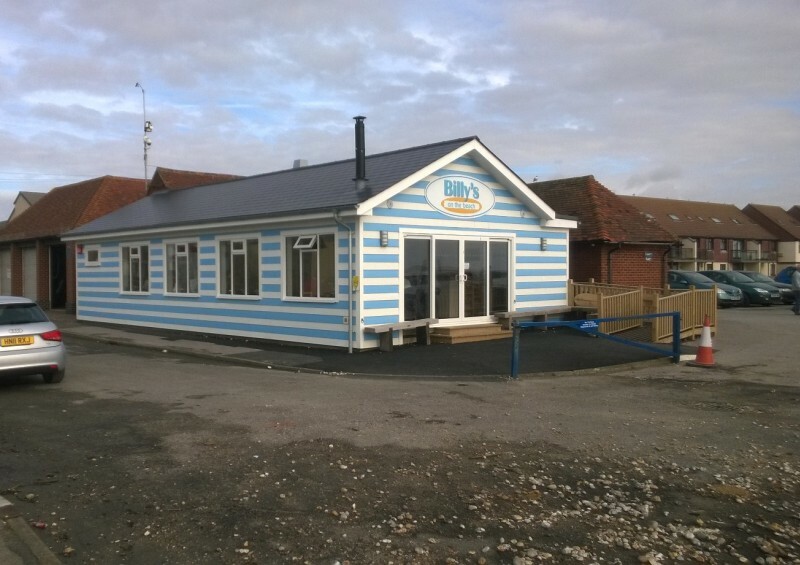 Mr Johnstone was delighted with the service he received from Scandia during the build and is thrilled that since Billy’s on the Beach opened in September 2013, it has become a real part of the community. Billy’s on the Beach can be contacted on 01243 670373.